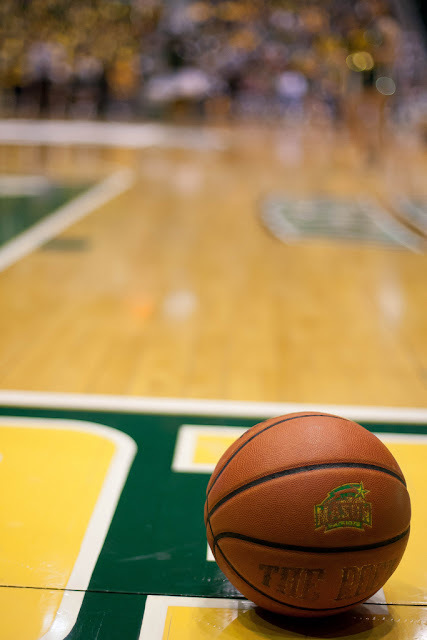 George Mason Basketball: Where does George Mason go from here? As it sits now, George Mason doesn't look like the kind of team that is going to be favored to win the CAA championship in March. They have rarely put together winning streaks this season and the disarray on the court has been a huge letdown for fans to witness. There was not lofty expectations this season and most knew that a bid to the NCAA tournament was far from a lock but I would also say that few saw this type of season coming. Being run off their home floor last Saturday was a reflection of just how little this team has progressed from the beginning of the season. In a lot ways they played better in the first few games of the season and now seem to be developing new problems each night. A lot of people are quick to blame Paul Hewitt, myself included, but it also seems as though this group was not ideally built and are missing key types of players. For starters they have played most of the season without a stable point guard and a true post player. Those are probably the two biggest holes you can have on a team, especially when you don't return any double digit scorers from the previous year. Point guard play has probably been the only area this team has improved upon and Corey Edwards deserves credit for that, but a post player never materialized. Jonathan Arledge has come on strong lately but he isn't that back-to-the-basket type of scorer they have been lacking. Johnny Williams was supposed to be that guy this year but his soft inside play and undisciplined style of defense prevented him from making any big strides this year. They have also lacked a go-to on-the-ball defender. A few games this season, a player from the opposing team went off early having long range shooting success. Mason's only response was to shuffle different guys on them in hopes of slowing them down. Having a stay at home defender, who you can count on to lock on to the other team's star is something the previous coaching staff was very good at developing. I think a lot of fans would agree that going through a season like this isn't the worst thing in the world if you think a coaching staff is building towards something better. We saw this happen in 2010-2011 with Jim Larranaga playing a ton of young guys in the prior season. That certainly isn't what's happening here and I find it hard to believe next year's team, which is essentially the same group, will be much different. Hewitt touted a new game plan on offense and on defense this season and the players haven't responded. Are they really going through the growing pains of learning a new philosophy or is it just not working because of the architect behind it? I find it hard to believe that these players are just that bad that this style of defense, after 26 games, looks like what we saw against Georgia State on Saturday. What we are seeing now doesn't look like a team whose head coach is really getting through to his players. It's one thing to lose to better, more talented teams. The beat down Mason received from VCU last March was a prime example of just that. The Rams were an excellent team and proved it in the NCAA tournament. But a lot of Mason's losses this year don't feel that same way. 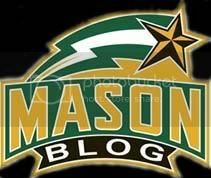 Mason makes so many fundamental mistakes, on both ends and the overall lack of discipline is embarrassing. It also doesn't help that Hewitt is probably the most emotionless head coach I've ever seen in person on the sidelines. Most coaches are bright red screaming and fighting the officials for awful calls or for poor execution from his players. Has Hewitt ever done this? I know it's not his style of coaching but surely after how this season has gone you'd think we'd see some sort of emotion. How does the disarray on the court not make him fuming mad on the sidelines? Sadly I think a lot of the players on this team would probably respond better to a more vocal and in your face style of coaching. The team now faces a task of trying to win three straight in a place where history is against them. Sure the VCU Rams aren't standing in their way this time but it doesn't really seem like it matters who they are playing. Mason's only chance to win the CAA's autobid would be if they went into the whole thing with the mentality that is a new, fresh start. If they can forget their struggles and view this as a clean slate for their last chance, maybe they can play more to their talents. Do I think that will happen? No, not really but the conference has been quirky this season so who knows. I do hope that we naysayers about Hewitt (me definitely included) are wrong about his coaching skills and that somewhere down the line things will gel. I think so many of us would just like to see some Evidence of these skills. Or at least not so much evidence of a lack of coaching the fundamentals. Weird thought: If we do pull it together and win the CAA championship, we are likely going to the tournament as a 16 seed -- although I ask you, what ncaa committee member would see us in the 16 slot and NOT have a moment of pause? "Hmm...you know, committee members, maybe we should take a look at adjusting those metrics once again...." So maybe we get in as a 15 seed, especially if we ran the table from here on out. MEANWHILE, Coach L has his guys in Miami heading towards a 1 or 2 seed in the tourney. So ... what IF????? The Ga State game looked bad enough in person, but then I watched the first half again on DVR last night and it was even worse. That was one of the worst defensive performances they have had all year. When there was a screen both players consistently went to the ball and left the screener wide open. On one play, both guys took the player AND Marco also left his man to help resulting in FOUR defenders on the same side of the court against only two offensive players. A quick pass to the guy Marco left resulted in a thunderous dunk. WFT?! Why is this happening this late in the season. Please do not luck out in the CAA tournament. The resulting 2 vs 15 beat down would be downright embarassing.